The Immortal Rules in one word: Unputdownable. Everything about the story left me dying to know what would happen next. I am ashamed to admit that I haven't read Julie Kagawa's Iron Fey series, but after reading this book you can bet that I will be remedying that very soon. The Immortal Rules is anything but your typical vampire book; instead, it is a compelling blend of paranormal creatures with a dystopian world. 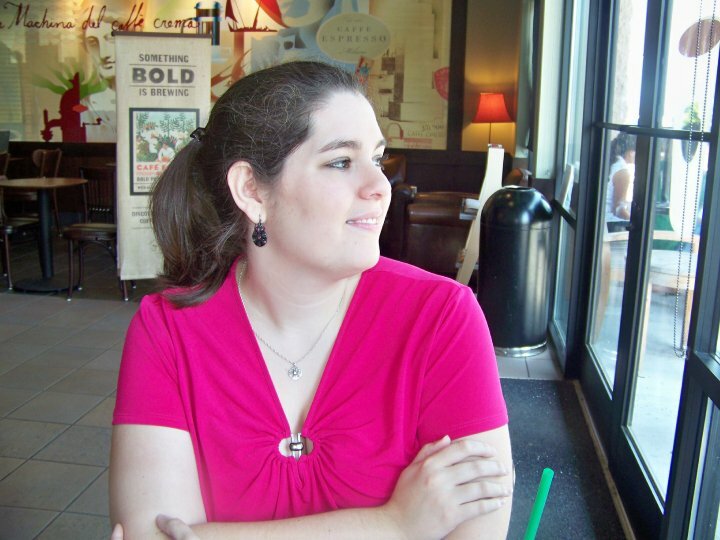 Allie is everything that you could want in a heroine. She is strong but compassionate, a good fighter (with a little help from Kanin), and she isn't afraid to take risks. Her journey wasn't an easy one, but I think she found her way quite admirably. Her time with Kanin was very interesting. I loved learning about the vampire hierarchy that Julie created, and the addition of rabids brought yet another dimension to the story. I will be interested to see what else Kanin knows in future books. When Allie leaves her home and journeys beyond the city and into unfamiliar lands, she is constantly confronted with the disparity between who she is and who she can pretend to be. Allie's internal struggle was just as gripping as the external one. Her constant fight to control the Hunger, especially around the group of humans she comes to join, is incredibly tough. With Zeke, however, if she can control her Hunger, she might finally have a chance to learn what relationships based on something more than just convenience mean. One of the best things about the characters in this book is that they are always more than they seem. With every page there was something new to discover. I said earlier that this book was unputdownable, but the last 100 pages were especially so. With so many confrontations and revelations, it was almost cruel and unusual punishment for this book to be over when it was. The Immortal Rules is the thrilling start to a new series from Julie Kagawa. I can't wait to read the next installment! 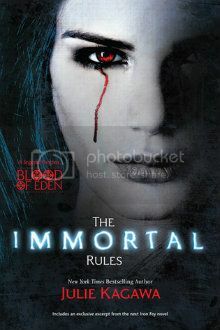 I am very excited to have one copy of The Immortal Rules to give away! Please note that the book will be coming directly from the publisher; please allow ample time for the book to arrive if you win. This contest will close on Friday, May 4 at midnight CST. Great review! Can't wait to read the book!! Thanks for the giveaway! Great review Christin! I can't wait to read this one! I have heard great things about this book and i cant wait to read it! Great Review! It made me want the book even more! After all the great reviews I've read about this book, I can't wait to read it. I haven't read her Iron Fey series yet, but it's on my must have list. This new series will definitely be added to that list. Thanks for review & the giveaway! I love her other books & hope to win this one 2, I would continue reading her books because i love them so much. I can't wait to read this book! Thanks for the great giveaway! Thank you for the chance to win! Really want to read this one. I've read a lot of great reviews of it. Sounds great! I loved the Iron Fey series by Julie and I can't wait to read this book!!! Your review was great, I'm glad that you enjoyed the book!! !